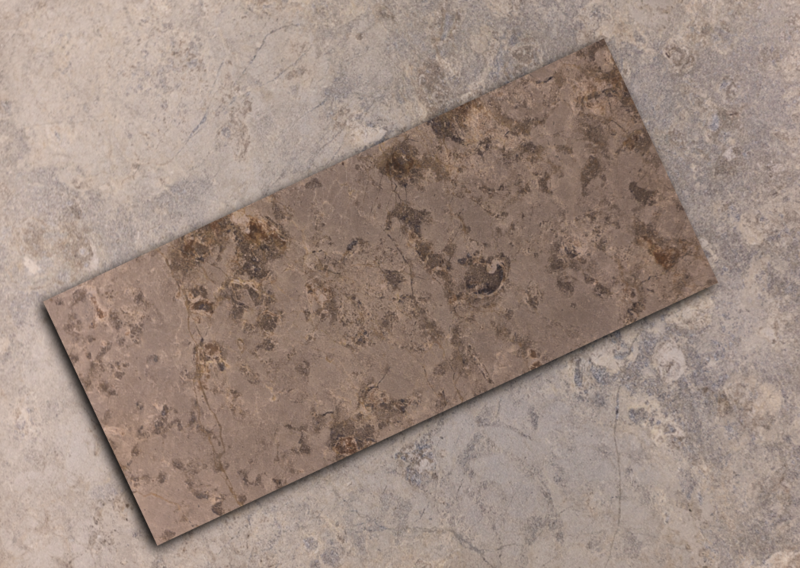 Durango Stone is often found in luxury custom homes as flooring, wall tile, pool coping and more. But did you know that our gorgeous marble limestone is also specified regularly for architectural projects requiring large format commercial stone cladding? The Marble Institute of America, during its annual Pinnacle Awards, recently recognized a project featuring material quarried, produced and fabricated by Durango Stone with an Award of Merit in the Commercial Exterior category. 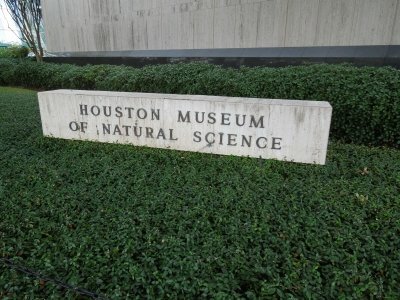 This project has been a great source of pride for our team of stone professionals and now we would like to share with you our involvement in the Houston Museum of Natural Science renovation. 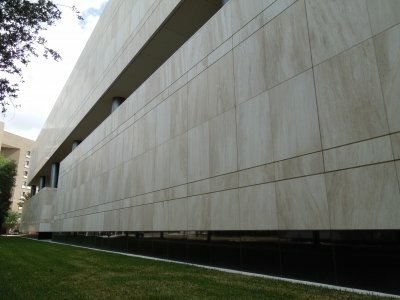 Our contribution to this impressive piece of architecture began when we were contacted by the construction pros from Dee Brown, Inc. in Texas who explained that the acclaimed architects at Gensler had specified exterior travertine panels for the museum renovation project in dimensions of 5’ x 4’ and a thickness of 6cm. Many other stone suppliers had been contacted, but none could provide a travertine whose structural integrity would withstand the requested size of the design. Our reputation for quality, integrity and state of the art production was the reason for the call to our Scottsdale, AZ headquarters. The project need the first truckload of panels delivered to the job site for installation within 30 days and we delivered. The density and durability of our Durango Stone materials is based on the quality standards applied to the block selection during the quarrying process at our Mexico operations. This allows our marble limestone materials to be fashioned into large panels in custom dimensions for interior or exterior wall applications. With over 40 years of stone experience, Architects and builders know they can trust our opinions and the third party testing results tell the rest of the story. 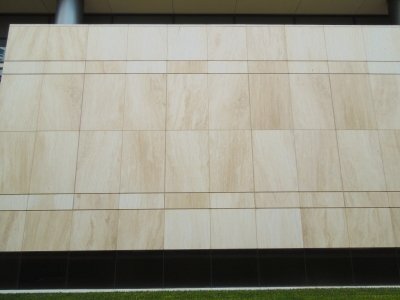 That’s what makes our materials ideal for commercial stone cladding. The modern look of Durango Veracruz Vein-Cut honed and filled tile was selected for the “face – lift” of t his respected museum and for good reason. The ivory – beige tonality mixed with the natural veining present in this beautiful natural stone, provided just the right mix of history and innovation celebrated by the museum’s exhibits. 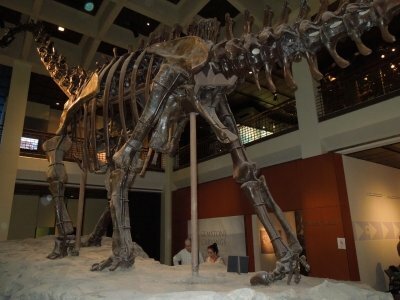 It’s humbling to realize t hat the 21,000 square feet of stone applied to the building exterior is as old or older than the Dinosaur bones housed within. 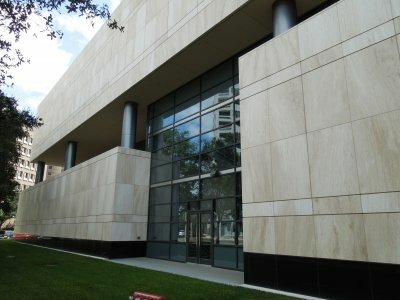 This collaboration was one of our favorite commercial stone cladding projects. Not only did it feel good to be the trusted source for curtain wall cladding, but the finished structure stands as a monument to the ageless beauty of natural stone products. 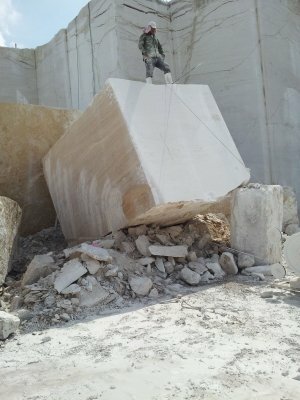 Fads may come and go, but marble limestone and travertine will always be in style.